Perl refers to a general purpose, high level, dynamic and interpreted programming language which has become extremely popular at present. This programming language was first developed by Larry Wall in the year 1987. During that time, Perl was used as a Unix scripting language which serves general purposes including making the act of processing reports easier. The majority of Perl users believes that it stands for Practical Extraction and Reporting Language. From the moment it was established, numerous revisions and changes on the programming language has been made as a means of improving its functionality. This is now filled with a lot of useful features, making it more useful for web programmers and developers. A lot of Perl versions are now introduced to various programmers and IT professionals and each of these versions have their own useful features and advantages. Perl was actually established by borrowing some of the most useful features installed in other programming languages such as shell scripting, C, sed and AWK. It comes with powerful text processing facilities and what makes these facilities highly beneficial is that these can be used without dealing with any arbitrary data length limits usually found in contemporary Unix tools. This makes it easier for you to manipulate text files. The proven power and flexibility of Perl is among the major reasons why this has captured the attention of most programming language users at present. Its flexibility makes it possible for you to use it in network programming, graphics programming, finance, bioinformatics, system administration and any useful other applications. Mastering Perl is now easier with the presence of Brainmeasures which is considered as the leading online certification and skill testing company offering a Perl certification program to anyone who is interested. 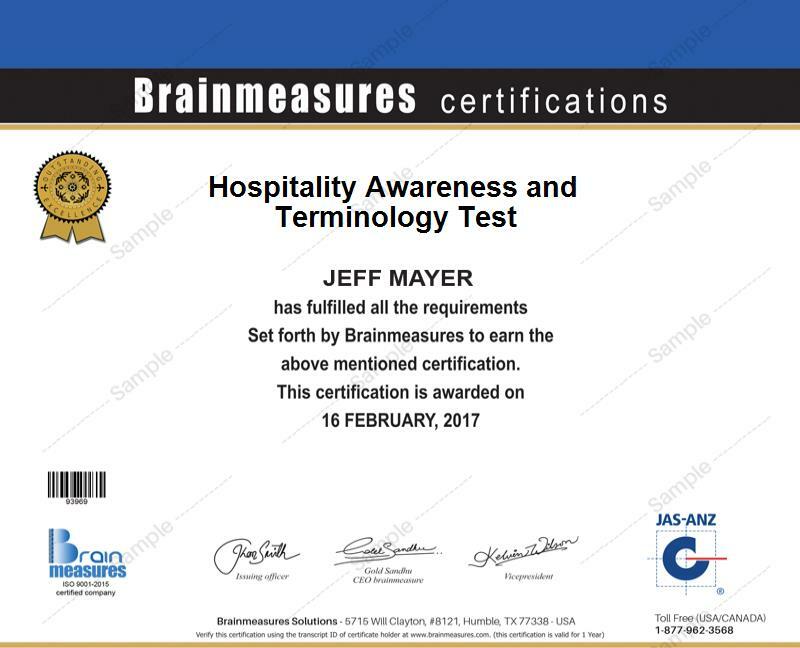 Brainmeasures has a good reputation especially in providing the highest level of satisfaction to all the participants of its programs so you have a hundred percent guarantee that its Perl course can offer you the kind of information that you need. With the help of this certification course, you can allow yourself to undergo a comprehensive Perl training which is guaranteed to work on boosting your knowledge about the major components of the Perl programming language. You will become a certified professional in using Perl which shows that you have the highest level of knowledge when it comes to using Perl, its proven features and advantages. The Perl certificate which you can get after completing this course from Brainmeasures will serve as an indication that you are indeed a Perl expert. How to work with bits, bit operators, binary numbers and bit vectors? The Perl certification program which is now available at Brainmeasures is primarily designed for Linux, Windows and UNIX administrators, programmers, software engineers and power Perl users. It is also a major help for any system programmers, systems administrators and IT professionals who are responsible in writing tools, shelling scripts, manipulating text files and generating reports. Your Perl certification is also your ticket towards receiving an even higher pay. As soon as you complete your Perl certification course and use the knowledge and skills that you have learned to work as a Perl software engineer, then you can expect this to let you earn an average annual salary of $92,000. You can also work as a Perl developer which will allow you to receive around $55,000 to $96,000 per year. If you work as a Perl programmer, then an average annual salary of $113,000 is something that you will enjoy.